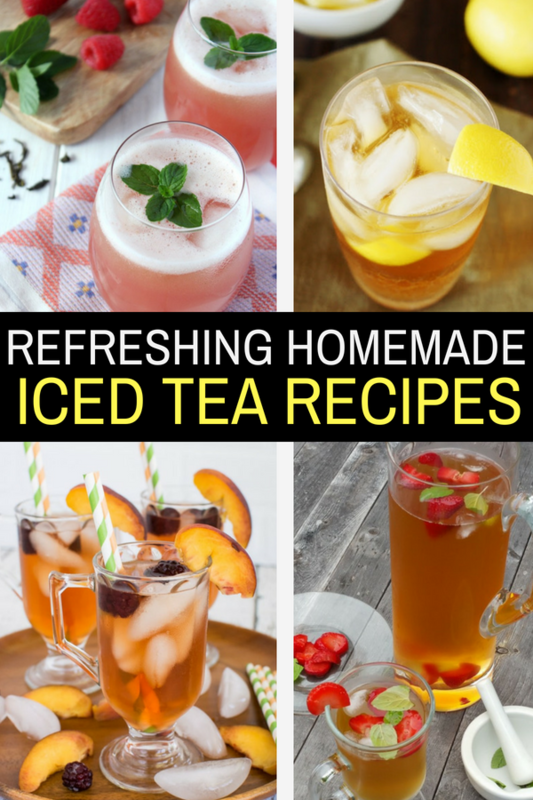 Refreshing Homemade Iced Tea Recipes will give you the inspiration to make an amazing new version of this wonderful beverage. 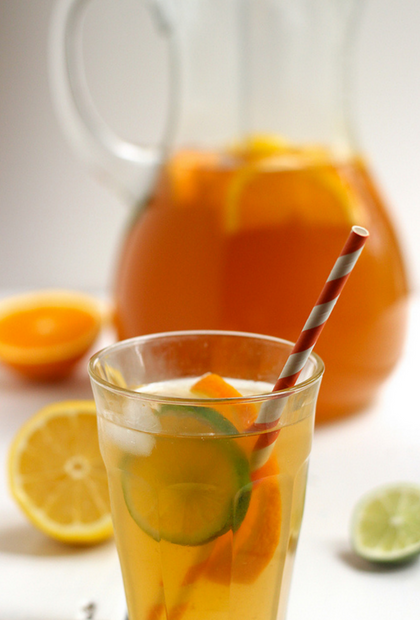 Summer and cold iced tea seem to go hand-in-hand. You shouldn’t be satisfied with the plain version when you can choose from so many other recipes. 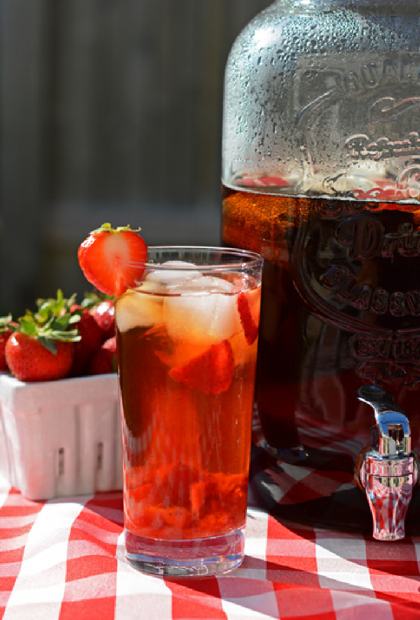 It’s so simple to make, a jug should be standing by in your refrigerator, ready to quench your thirst. 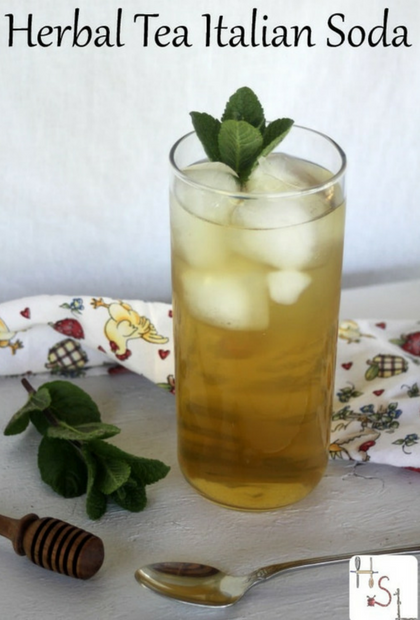 Click on the title of each tea to get to the recipe. 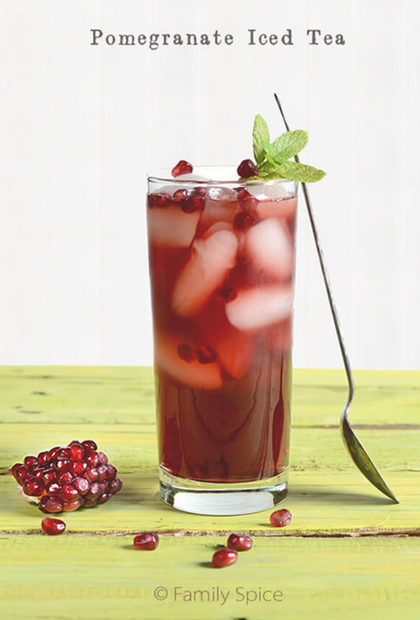 1) Pomegranate Iced Tea from Family Spice. 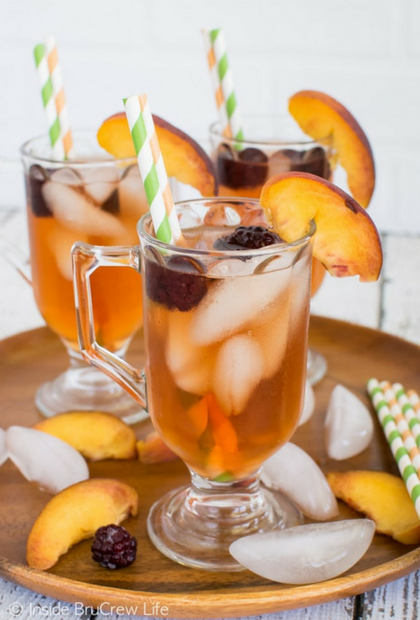 2) Peach Iced Tea from Carissa Shaw. 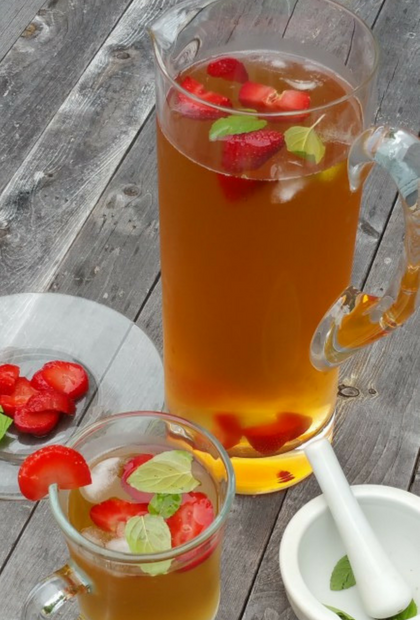 3) Strawberry Mint Iced Tea from Teaspoon of Goodness. 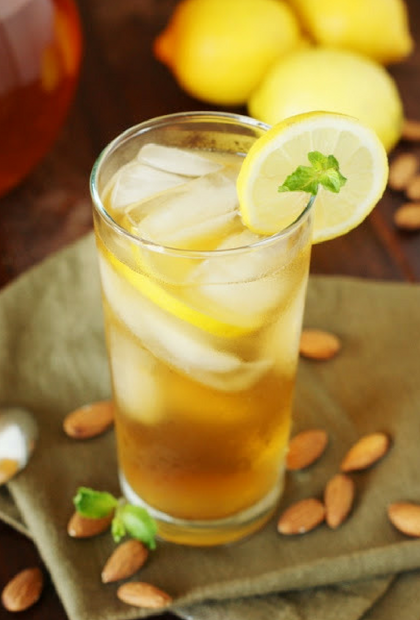 4) Almond Iced Tea from The Kitchen is My Playground. 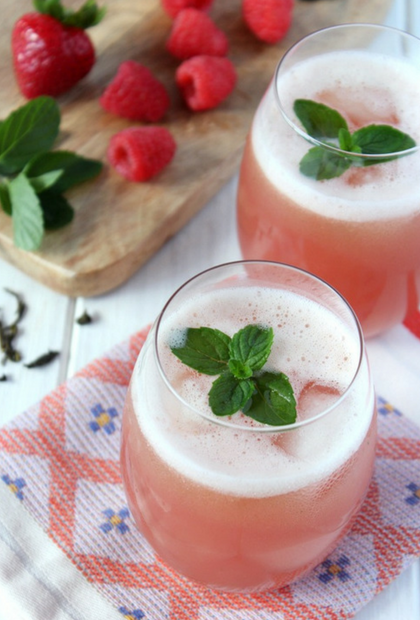 5) Raspberry Green Tea Lemonade from Yay for Food. 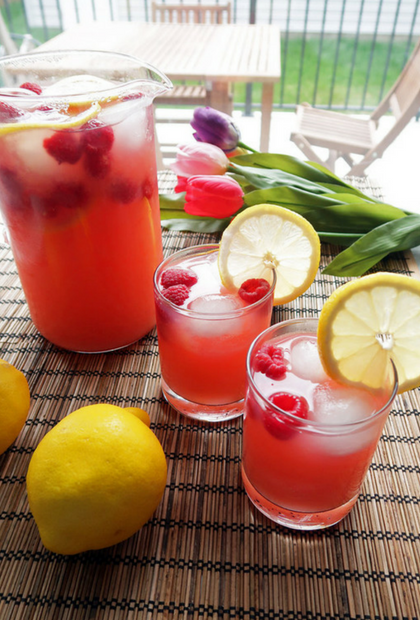 8) Passion Fruit Tea by from Crayons and Cravings. 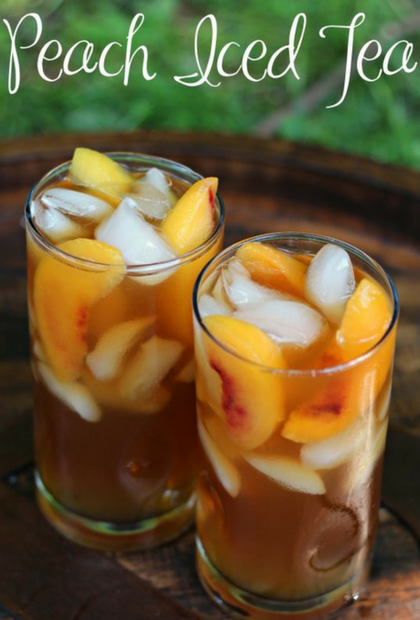 I hope you enjoyed Refreshing Homemade Iced Tea Recipes. 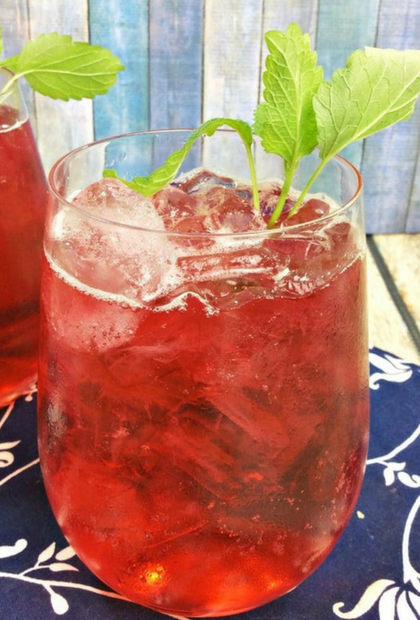 Summer just got a whole lot sweeter with these recipes. 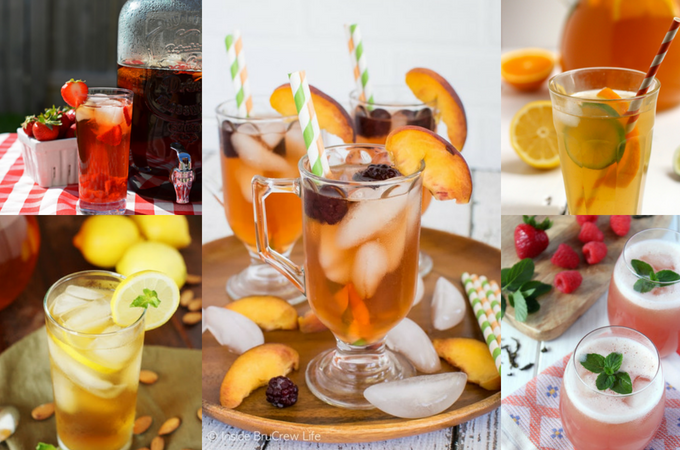 Let me know in the comments below what your favorite way is to make iced tea.